Once in a while, if you are lucky, you try a restaurant for the first time and it turns out to be an unforgettable dining experience. This was the case with restaurant Les Florets (which is also a hotel) just outside of Gigondas in the Provence region of France. It was a beautiful sunny day with a nice breeze and some diners were sitting on the charming outdoor terrace when we arrived. We decided to sit inside (it was a little to breezy) in the comfortable and well-appointed dining room. The service was attentive but not intrusive. The food and wine may have been the best I had in my 3 weeks in the area. 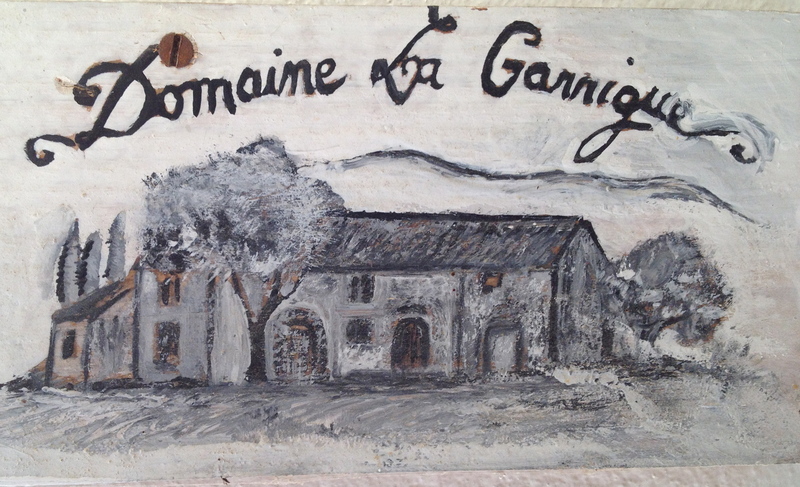 They have an exceptional wine list with older vintages and very good prices. After lunch, the breeze died down somewhat and we had coffee and cognac on the terrace. 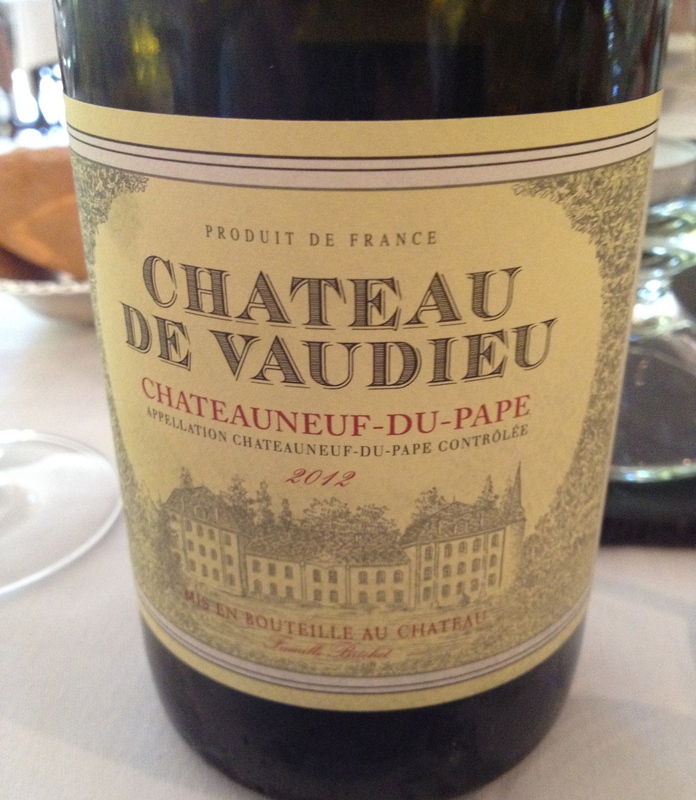 Chateauneuf du Pape Chateau De Vaudieu Blanc 2012 made from 75% Grenache and 25% Roussanne. The winery is located in the heart of the Chateauneuf du Pape appellation. The name comes from Val de Dieu (Valley of God). The vineyard is 10 hectares in the southern part of the estate and the soil is red clay, gray silex limestone and pebbles. Manual harvest in boxes of 15 kg with double sorting of the grapes in the vineyard takes place. Grapes are vinified and aged separately until blending.There is soft pressing with whole bunches. Static cold settling and alcohol fermentation is between 18 and 22 degrees. The wine is aged for 6 months. Most of the wine is aged in stainless steel and a small portion in barriques. The wine has hints of white fruit, grapefruit, refreshing citrus notes with nice minerality and good acidity. 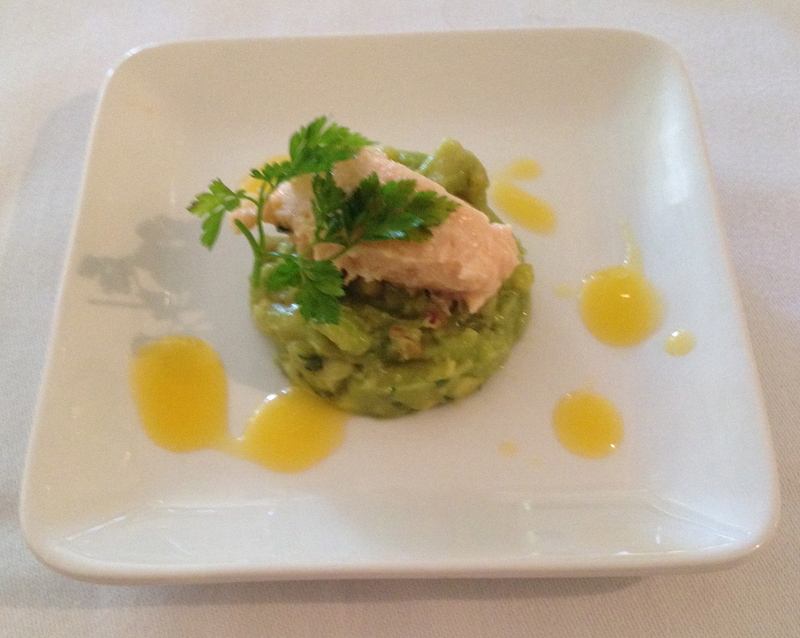 A small amuse bouche of salmon mousse with avocado was a nice starter. 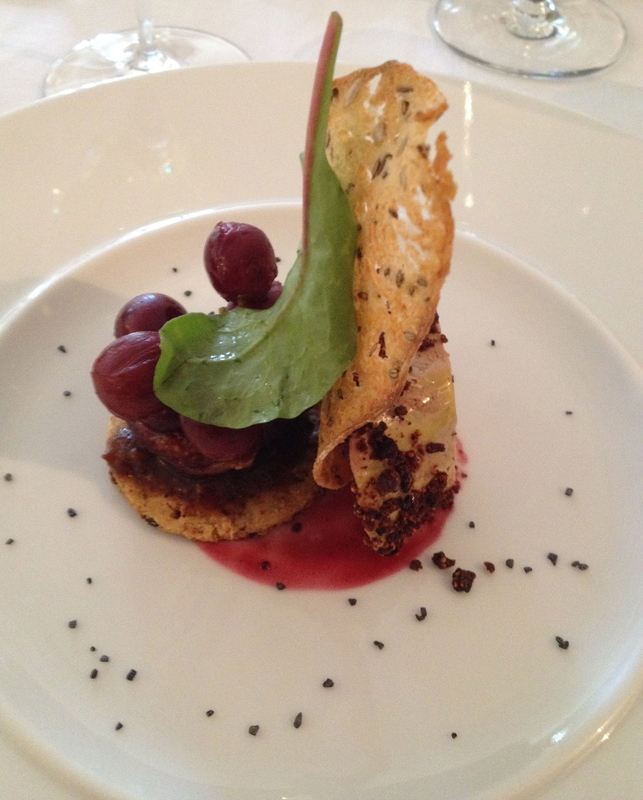 My first course was sautéed foie gras with a red grape sauce that I really enjoyed. 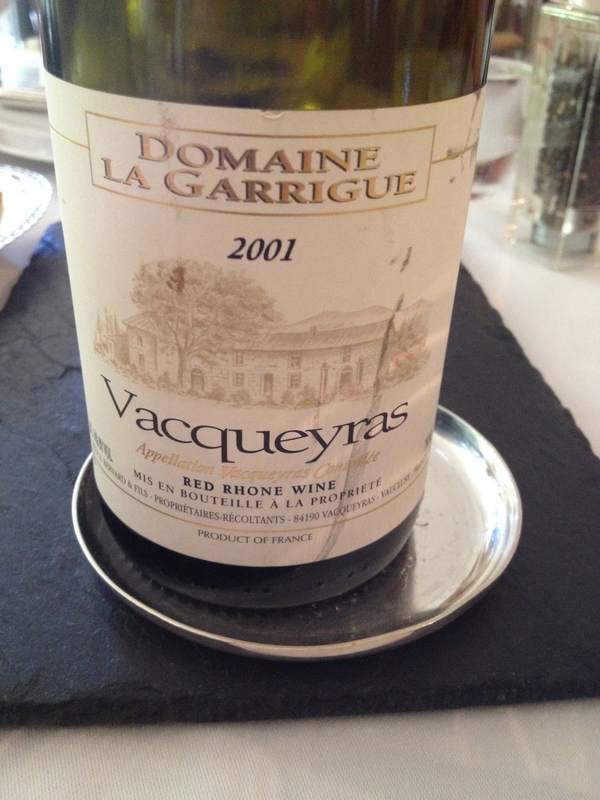 Vacqueyras Domaine La Garrigue 2001 Made from 80% Grenache, 10% Syrah, 5% Mourvedre and 5% Cinsault The domaine is in the heart of the Vacqueyras appellation area (southern Cotes du Rhone, in the Vaucluse department, located on a plateau called Les Garrigues.) The vines are planted in 3 different types of soil: stony limestone-clay 40%, slopes and terraces 40%, and sandy 20%. The Syrah and Mourvedre vines are 40 to 50 years old and some of the Grenache vines are between 80 and 100 years old. Harvest is by hand and it takes 30 pickers about one month to harvest all the grapes. Before being vatted the grape bunches are lightly crushed without being de-stalked. During fermentation the run off juice is pumped over the cap twice a day. The grapes are pressed using two vertical hydraulic presses, and for the last two years also a pneumatic press. The wine is aged for a minimum of 18 months. The wine is not fined or filtered. It has hints of black fruit, spice and a touch of liquorice with a long finish and pleasant aftertaste. 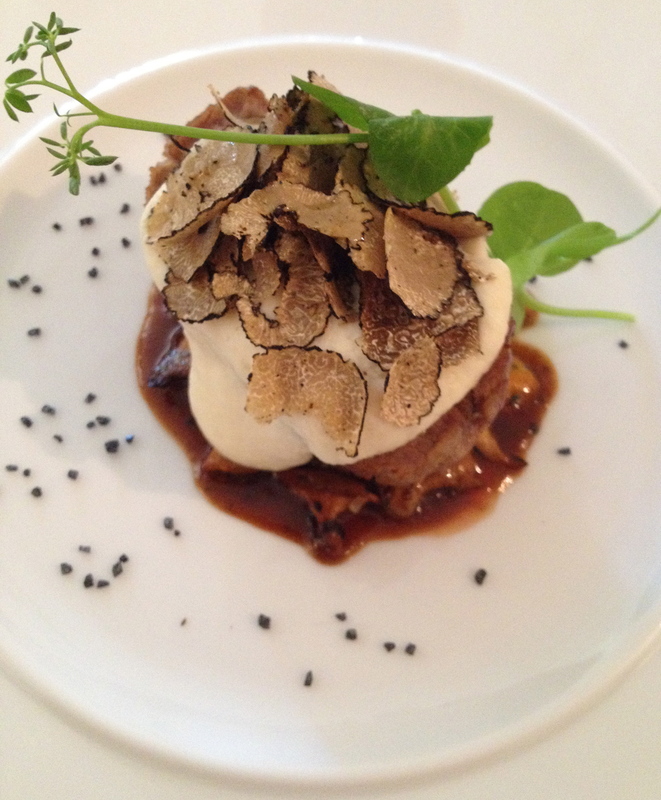 This wine is at its peak and was a great combination with my main course of roast veal covered with black summer truffles in a rich truffle sauce. I really enjoyed this wine and on another day, we went to visit the winery. The Brechet family owns the restaurant and the winery. 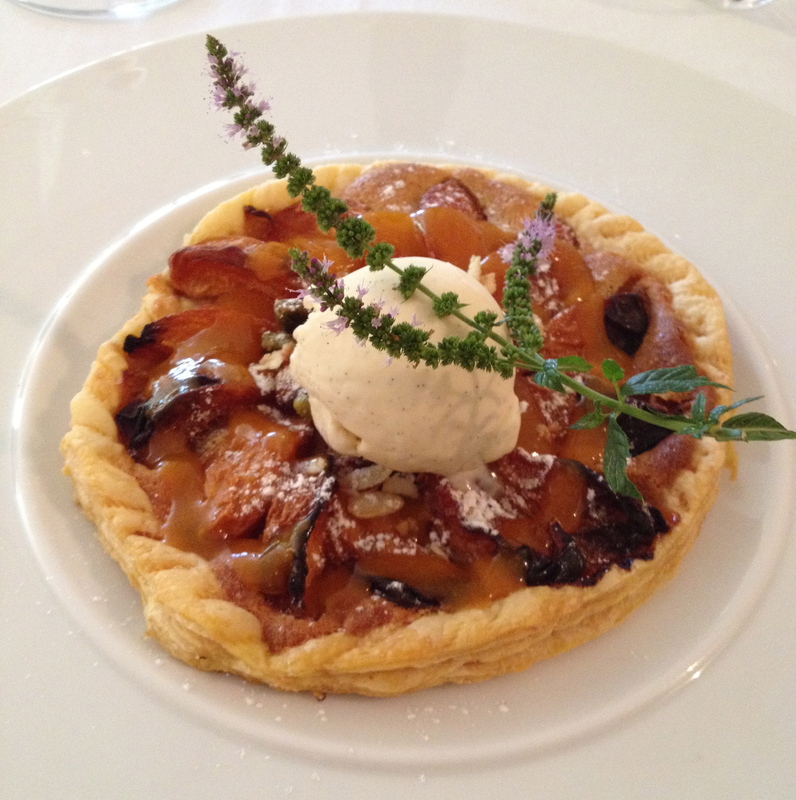 Dessert was a warm apricot tart with vanilla ice cream. Michele declared it perfection and promises to try to duplicate it for me soon. I can’t wait!